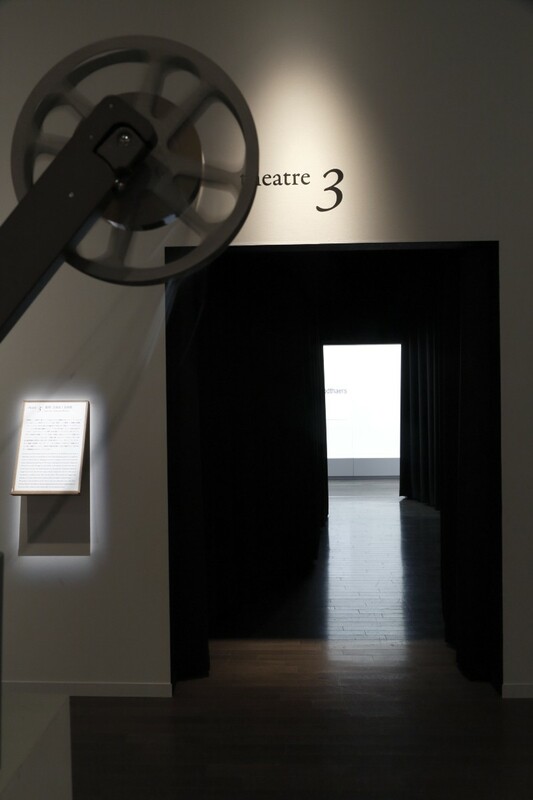 Exhibition ‘Reading Cinema, Finding Words: Art after Marcel Broodthaers’ is held at the Natinal Museum of Modern Art, Tokyo. 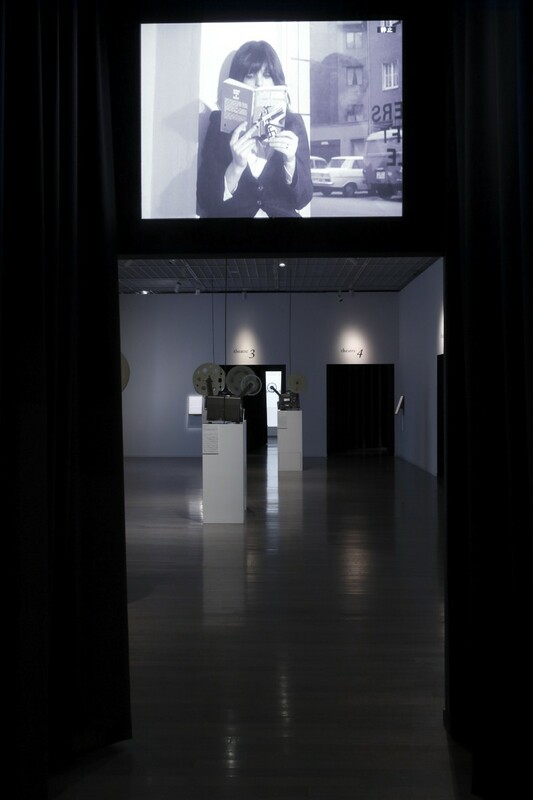 The exhibition features works by Belgian artist Marcel Broodthaers and other 12 contemporary artists to consider relationship between the photography, film, video works in contemporary art and cinema. 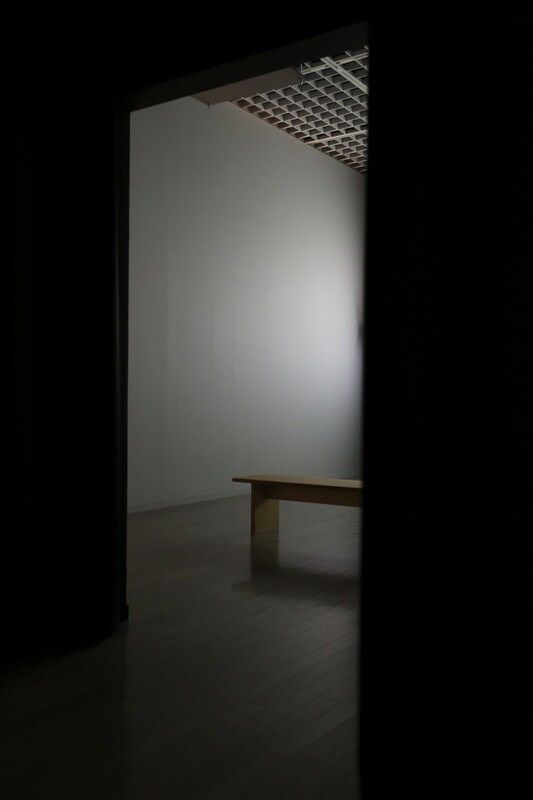 One of the highlights of the exhibition is spaces designed by Tezzo Nishizawa. 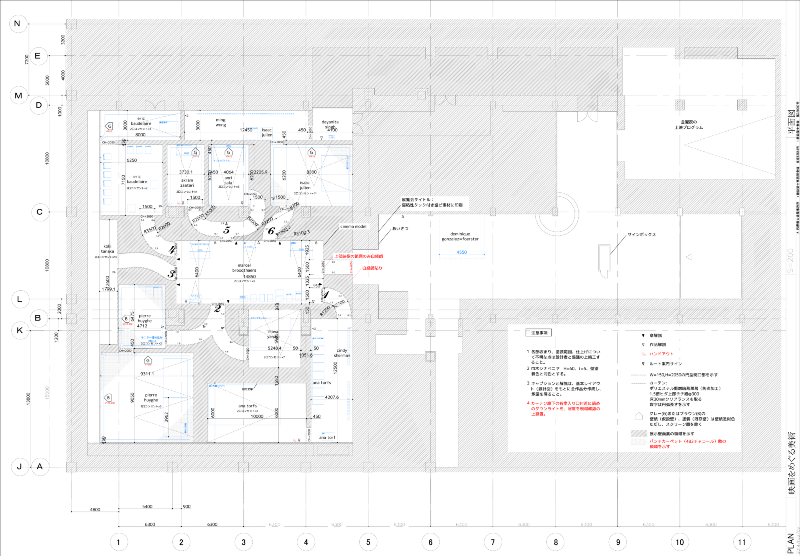 Nishizawa commented about the exhibition design as follows. 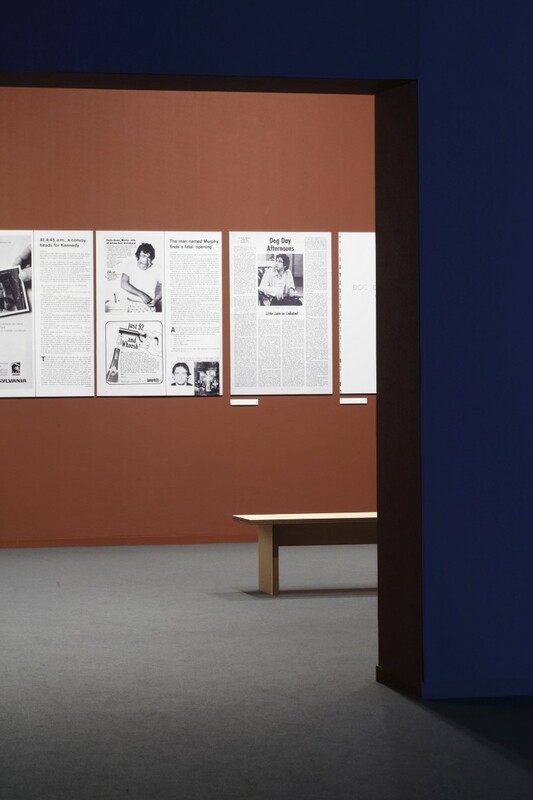 The show begins with a room dedicated to Marcel Broodthaers. 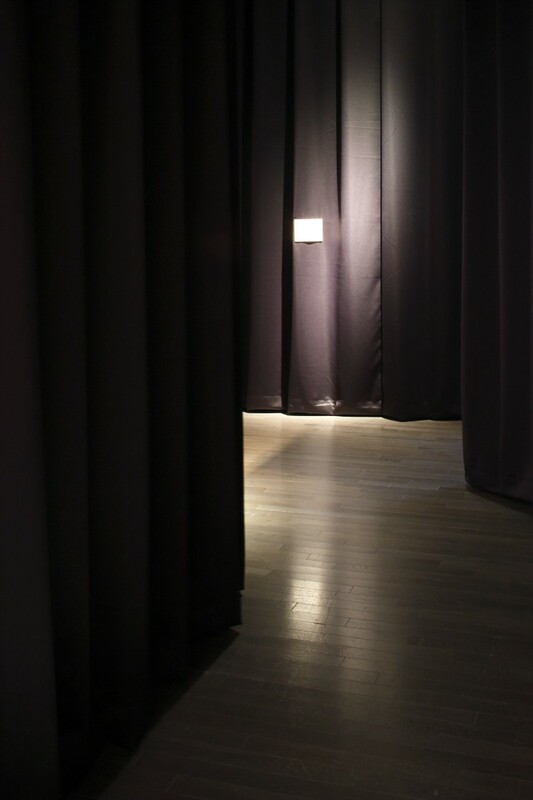 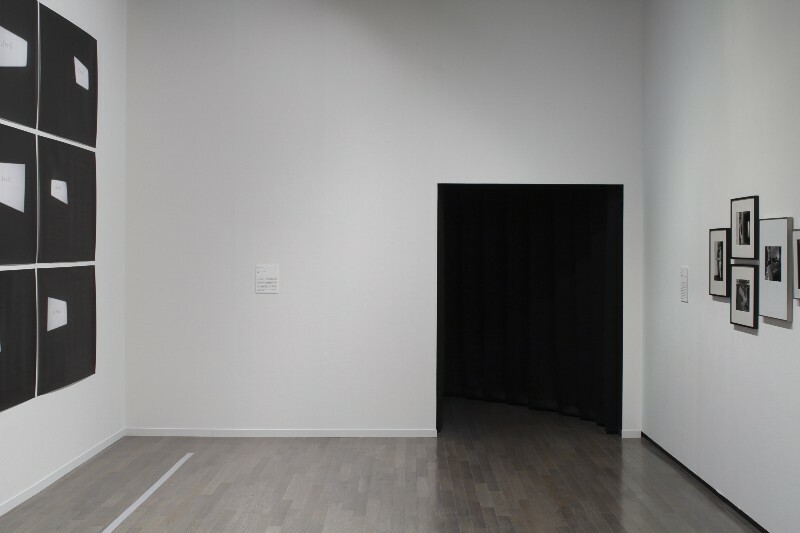 The six openings in this central room are entrances to long passages made of black curtains. 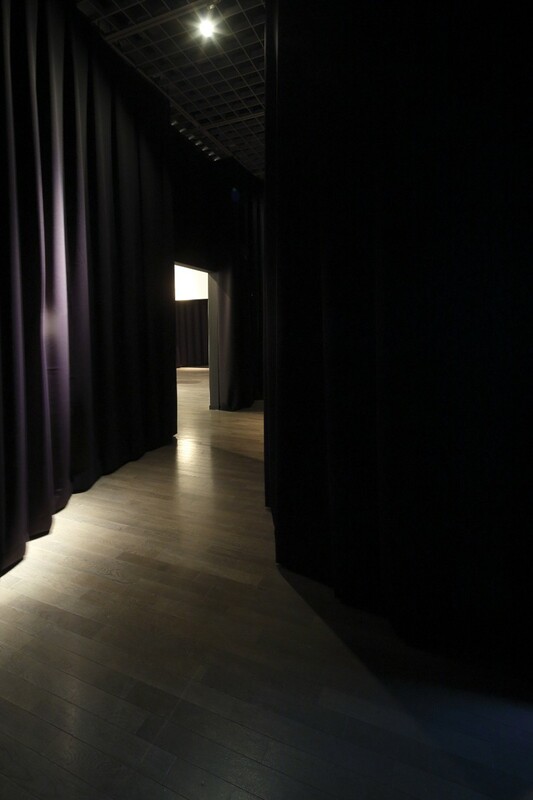 And each passage leads to rooms for films, video works and photographs by 12 contemporary artists. 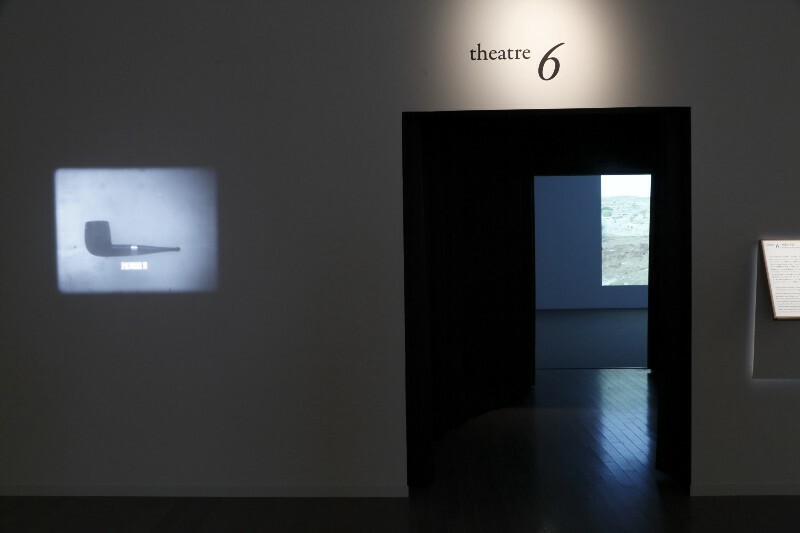 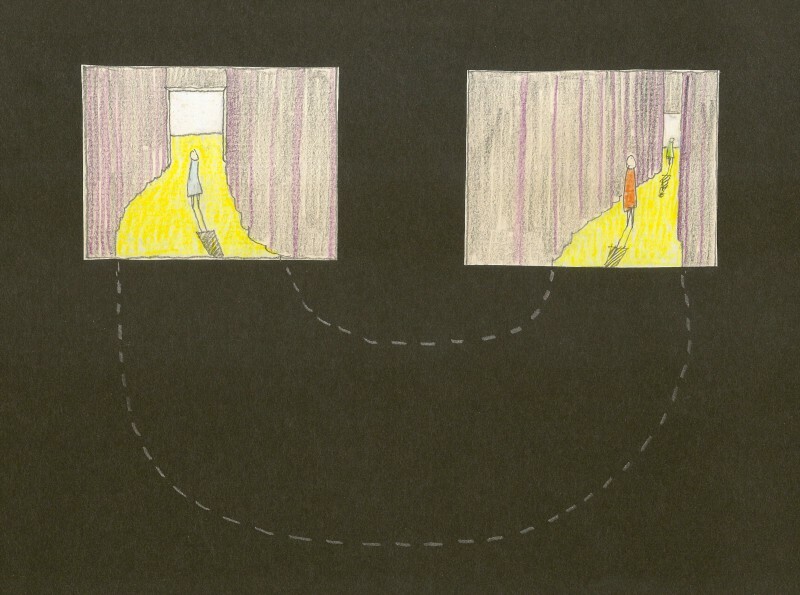 Audiences walk a passage, enter the room, appreciate the exhibits in there, and return to Broodthaers’ room. 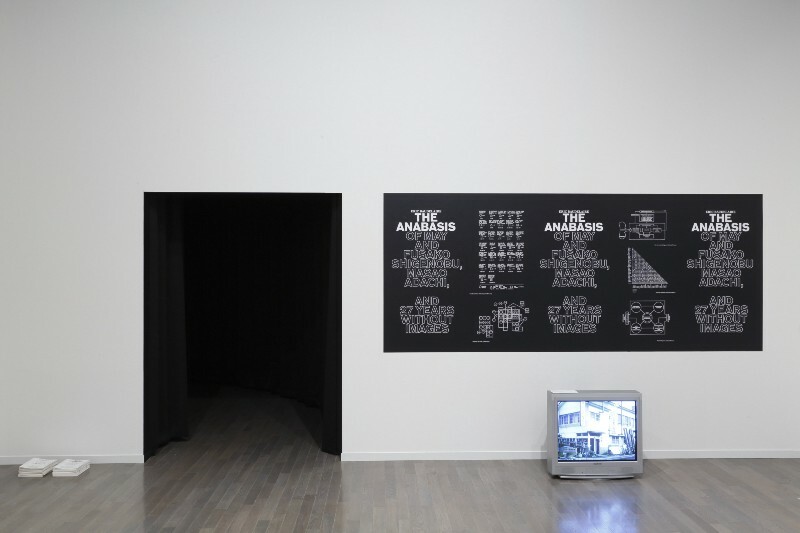 Then they start from Broodthaers’ room again and enter into another opening. 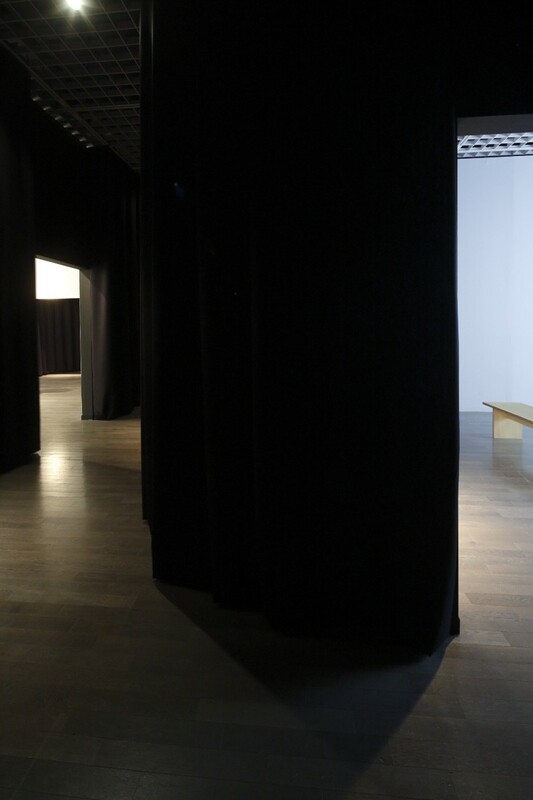 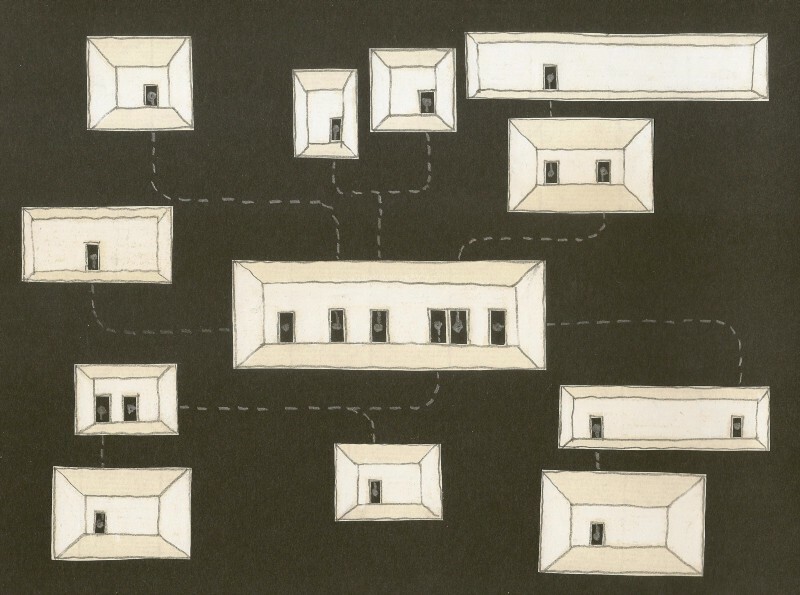 By moving around the long passages which connect Broodthaers’ room as a reference point with each artist’s room, audiences are always detached from their memory of an artwork just before, and could deeply enter into the world of next one.